Bruno was an innocent, naive, complacent nine year old who had to move with his family from Berlin to “out-with” because his German soldier father was placed there for work. At first Bruno felt that moving from a beautiful 5 story house to a lonely 3 story house was unthinkable. He missed his town and his friends. As time went on, Bruno noticed the people on the other side of the fence, the people in the striped pajamas. After exploring the area, Bruno meets a boy, Schmuel, on the opposite side of the fence but spends the entire year oblivious as to why he is there or why he can’t get out. Meeting Schmuel, who quickly became Bruno’s best friend, was the one thing that kept Bruno going each day. Bruno knew it was wrong for them to be friends although he didn’t know why. I NEVER expected the story to end the way it did and I feel a piece of me is forever missing. And now I can’t help but think of how often in todays day and age we remain complacent. If we lived during Bruno’s day, would we walk by the boy in the striped pajamas and say nothing? You may say “no” but I know people who do it every day. 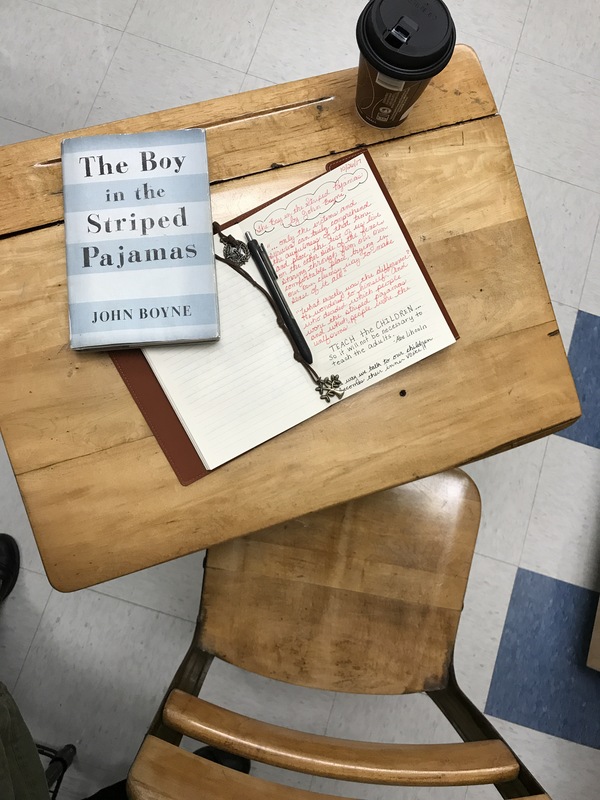 10 stars to John Boyne. Next Book and wine pairing today at Clovis point vineyard New York!